Leap Year is a comedy-drama series set in Silicon Valley about the founders of holographic video startup. Comedy-drama series set in Silicon Valley about the founders of a holographic video startup. Hulu comedy-drama series set in Silicon Valley about the founders of a holographic video startup. S2:E1 - Jack goes missing after an encounter with June Pepper played by guest star Eliza Dushku. S2:E2 - Aaron and Derek hire private detective Smiley (guest star Emma Caulfield) to find the stolen prototypes. S2:E3 - Olivia quits C3D and meets Sam Berry - guest star Joshua Malina. Jack and Aaron face-off with the Livefy CEO. S2:E4 - Derek crumbles and June Pepper - guest star Eliza Dushku, is there to help him pick up the pieces with an offer he can't refuse. S2:E5 - With help from their investor the C3D team gets accepted to the TechStars NY startup accelerator where they meet Reddit co-founder Alexis Ohanian. S2:E6 - Sam Berry's - guest star Joshua Malina, true identity is revealed and it hits too close to home for Olivia. S2:E7 - Bryn taunts herself over her moment of weakness with Aaron after being confronted by his wife Lisa. S2:E8 - Bryn gets interrogated by Detective Remy Doyle - guest star Steven Weber, while Jack, Aaron and Olivia find June - guest star Eliza Dushku in a compromising position. S2:E9 - When June Pepper - guest star Eliza Dushku reveals the face of their true enemy, the C3D crew prepares for war with Andy Corvel - played by Craig Bierko. 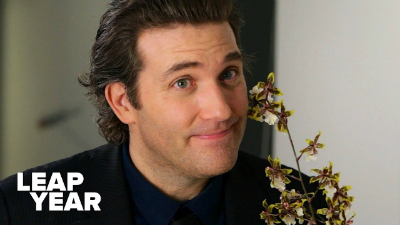 S2:E10 - The C3D team teaches Andy Corvel - guest star Craig Bierko how to bite. S1:E1 - Rumored layoffs overshadow Aaron's surprise birthday party. S1:E2 - Jack, Bryn, Olivia, Derek and Aaron face uncertainty about their future when their boss, Andy Corvel - guest star Craig Bierko, calls an all-hands meeting. S1:E3 - The group is recruited for a simple contest with a $500,000 prize. S1:E4 - Jack's business relationship with his only client turns personal while Olivia struggles to find any clients at all. S1:E5 - Olivia decides betraying a friend in a Mashable article is worth a boost in business. S1:E6 - Bryn faces a crisis of conscience and identity when the company server goes missing. S1:E7 - Derek seeks the help of attorney Josie Lanning - played by Julie Warner when he's sued for harassment. S1:E8 - Jack and Josie - guest star Julie Warner hatch a plan to win the competition and save his friends' startups. S1:E9 - Jack tries to win Scarlett back with some help from Guy Kawasaki. S1:E10 - Lisa goes into labor. Aaron, Bryn and Derek meet with programming genius, Sergei Lenov - played by Mark Gantt, at his cabin in the woods. All episodes of Leap Year streaming now.